“I think he can be a lot better than me,” the New Orleans Saints star said Wednesday. A fellow Texan, Brees has never met Mayfield but he’s tracked his playing career from afar and has been impressed by virtually everything he’s seen from the Heisman Trophy winner, now waiting his turn to play in Cleveland. Brees, who will face the Browns on Sunday, loves Mayfield’s competitiveness and playmaking ability, and believes he can develop into one of the NFL’s top quarterbacks. Too short. Too slow. Too this. Too that. It won’t say any of those things on his Hall of Fame bust. Brees has broken the mold on what a star quarterback is supposed to look like. And while he might not be able to look many of his QB peers in the eye, he’s been able to make up for any physical limitations with other gifts. “I don’t know what it’s like to be 6-foot-5 because I never will be 6-5, never have been 6-5,” Brees said. “But I’ll say it like this: If every one of you closed your eyes, all of your other senses would be heightened, your sense of smell, your sense of hearing, all that other stuff. So maybe because I’m 6 feet, maybe there’s certain things that I can’t see as well, but for that reason, maybe I can hear it and feel it better because that’s what I’ve had to do my whole career. By doing what he’s done for nearly two decades, Brees has paved the way for Mayfield — and other smaller quarterbacks — to follow his footsteps. If not for Brees and his major success as a multi-year Pro Bowler and Super Bowl champion, it’s unlikely the Browns would have taken a chance on Mayfield and drafted him first overall. “I do take a lot of pride in that,” Brees said. Mayfield was a walk-on at Texas Tech and again at Oklahoma, where he became one of the school’s most celebrated players. And while he didn’t have the strongest arm or best 40-yard dash time or some of the other physical attributes the other QBs in this year’s class could boast, Brees said Mayfield has shown he can win. When Brees broke in, he was a backup for Doug Flutie, another undersized QB who showed it’s not just a game for big men. Brees watched Flutie excel at a high level and molded his game accordingly. 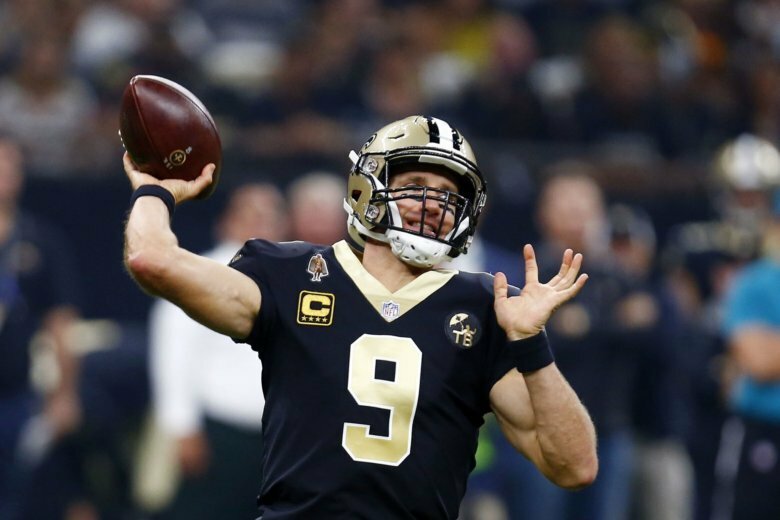 “I had a chance to learn from one of the absolute best in my opinion, especially when it came to just having to at times just make plays because of your size and maybe certain limitations,” Brees said. “He would get the job done. So I had a chance to learn from a guy like that and I owe him a lot of credit. We call it the 6-foot and under club. All the 6-foot guys, we kind of know what it’s like. “Well, is he 6-foot and under?” Brees said.